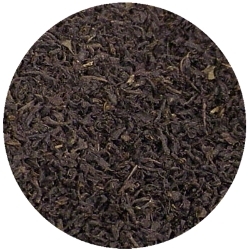 Allure Tea - Nilgiri Iyerpadi Estate Organic BOP 3 oz. Nilgiri Iyerpadi Estate Organic BOP 3 oz. Classic Nilgiri flavor and style. CERTIFIED ORGANIC, CERTIFIED KOSHER, FAIR TRADE: Origin: Nilgiri Mountains of southern India. 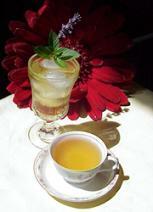 Known as “The Fragrant One”, Nilgiri teas have a good balance of flavor. This lovely Iyerpadi estate is nestled on the picturesque cloud-bathed slopes of the Anamallais, “Hill of the Elephants”. It is aptly named since the estate in also in the midst of Indira Gandhi’s Wildlife Sanctuary, a naturalist’s delight and a habitat for some of the most exotic wildlife including the endangered Lion-tailed Macaque and Great Indian Hornbill. But there is more to Iyerpadi than just rolling hills and wildlife … the tender hand-plucked leaves are cared for with some of the most advanced Organic scientific processes available for tea cultivation. The use of patented FBO (Fertilisation Bio-Organique) developed in France that enables Iyerpadi to nurture a rich soil ecosystem without the use of pesticides or other harmful chemicals. This certified 100% Organic estate not only believes in treating the Earth well, it also makes sure to treat its people well and as such is Fair Trade Certified.